The dragon has long been considered one of the most powerful totems, representing power, strength, and good luck. In Feng Shui, the dragon symbolizes luck, development, growth, authority, and fortune. 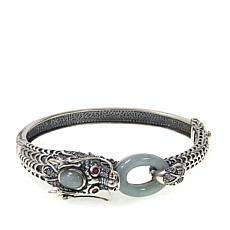 Why not add some of those positive vibes to your everyday wardrobe with a women's dragon bracelet from HSN? 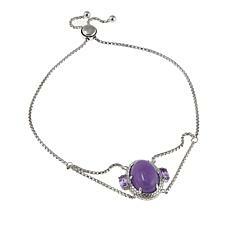 Our curated collection of dragon-themed jewelry includes quality brands such as Bali Designs, Heidi Daus, and Jade of Yesteryear. 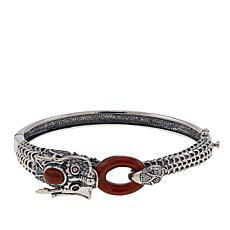 Those who prefer a casual look will love a woven leather bracelet with a sterling silver dragon design. 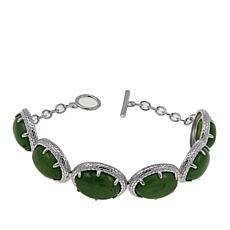 If you crave a more elegant look, slip on a crystal-encrusted cuff bracelet with domed dragon koi. 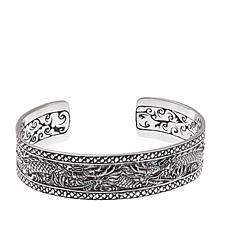 Other designs feature sterling silver dragons chasing their tails, creating a full wraparound design complemented with a jade accent. 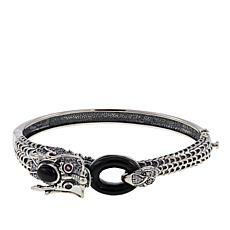 No matter which piece you choose, a dragon bracelet is always a statement piece that garners attention. 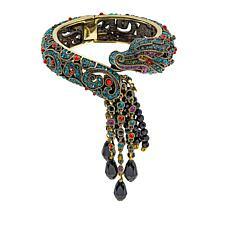 These Asian-inspired designs feature quality gemstones, gold accents, and ornate detailing that set them apart from most. 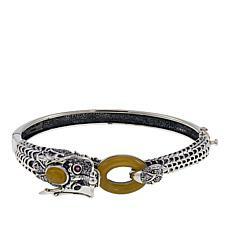 We're confident your dragon bracelet will quickly become your favorite piece in your collection. 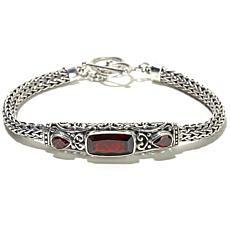 Best of all, you can better afford our eye-catching bracelets with flexible payment options that allow you to pay over time and snag the piece you truly love.